Does Your Package Tracking Software Pay For Itself? If you receive anywhere from a few to a few hundred packages in your daily delivery that you currently receive & track manually, you may want to learn about why people are choosing EZTrackIt for the long run. 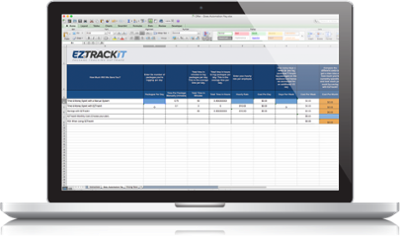 By entering a few numbers into this spreadsheet, you can easily compare what you’re currently spending (time and money) to what you could be saving with EZTrackIt. Download the form today and see how much you could be saving!